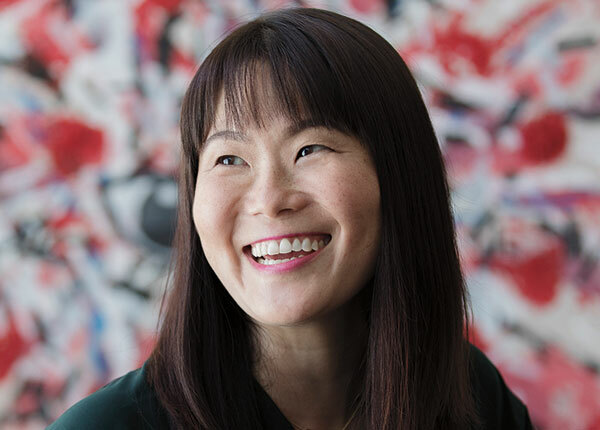 In her career thus far, Pam Fujimoto has collected honors from the Cannes Lions, D&AD, One Show and Communication Arts. Her first job was as an art director at WONGDOODY’S Seattle headquarters. She then went on to work at TBWA\Chiat\Day and Creature before making her way back to WONGDOODY, at its Los Angeles office this time, in 2014. Fujimoto has 17-plus years of experience developing creative solutions for global brands. Now executive creative director at WONGDOODY, Fujimoto has taken on an additional role as co-founder of the recently launched June Cleaver Is Dead, named after the prim, proper, wholesome mother, portrayed by Barbara Billingsley, in the late 1950s/early 1960s’ TV series Leave It To Beaver. A core of WONGDOODY staffers are lending their talents to the June Cleaver is Dead consultancy, looking to spur on the demise of the stereotype the June Cleaver character represents, bringing a new contemporary mom perspective to marketing and communication, helping brands to better connect with women today. Fujimoto and managing director Skyler Mattson are at the helm of June Cleaver is Dead, determined to present female consumers with content and characters to whom they can relate. Though it may not seem like it, the sitcom stereotypes of yesterday can still be found in the present, like the proverbial woman in the kitchen or bathroom, being somehow enamored with the latest cooking or cleaning product. SHOOT: What is the mission statement for June Cleaver Is Dead. In this vein, share your thoughts on the importance of moms’ perspectives from business and creative standpoints. Fujimoto: Moms make 85 percent of purchase decisions. Yet one study revealed that 95 percent of moms don’t relate to the women they see in advertising. When brands fail to connect with this target audience, they are missing out on $2 trillion in consumer spending. At June Cleaver Is Dead we help brands connect with this important audience—by getting insights from moms across a range of demographics and then having moms create the advertising itself. We’re uniquely positioned to deliver this since our ECD is a mom, our managing director is a mom and 50 percent of our executive team are moms. SHOOT: What is June Cleaver Is Dead’s relationship to WONGDOODY? Does June Cleaver handle WONGDOODY clients; is it taking on a client base separate from WONGDOODY? Does June Cleaver provide consultancy to agencies other than WONGDOODY? Directly to brands? Fujimoto: June Cleaver Is Dead is a consultancy within WONGDOODY. June Cleaver Is Dead will take on its own clients and many of WONGDOODY’s clients benefit from our services as well (like Litehouse and Papa Murphy’s.) June Cleaver Is Dead will work directly with brands. We are not currently working with other creative agencies but are open to partnerships with media agencies and other agencies that provide complimentary services. SHOOT: Provide an overview of the staff and creative/production talent you have at June Cleaver Is Dead. Fujimoto: June Cleaver Is Dead is made up of WONGDOODY employees across strategy, creative, production and account services. SHOOT: What are your priorities as executive creative director of this new venture? Fujimoto: This is a way to make sure more relevant, less cliché advertising gets out in the world, at least around this mom target. That we check ourselves and avoid embarrassing missteps. And transcend advertising by putting actions behind a brand’s words in ways that truly become mom’s ally. Strategic insights are worthless unless we bring them to life in a compelling way, and the more you know, the better chance you have—at finding a more unique or compelling angle that becomes a launching pad for great creative. SHOOT: We see that Litehouse Foods, a WONGDOODY client, tapped into June Cleaver Is Dead’s expertise. Would you share what June Cleaver Is Dead brought to the “See the Lite” campaign in terms of a fresh perspective and how that manifested itself in the final work? Fujimoto: For this campaign, we built on the insight that moms want to know what’s inside the food they feed their kids. We wanted to take the time to educate our audience of moms instead of shaming them which so many advertisements tend to do. We created a lighthearted series of spots that promoted the fresh taste of Litehouse dressings, which was the real goal for the brand. SHOOT: Is there anything else you feel the industry should be aware of relative to June Cleaver? Fujimoto: Clients are generally working with agency teams comprised of young, single males. Part of our mission is to make the advertising industry friendlier to women who want to start a family. We can’t service our June Cleaver Is Dead clients without powerful mom talent – so we provide unique benefits to moms including great pumping facilities, shipping breast milk home during travel and paying for a travel companion to join mom on business trips so baby can come along. And we also want to encourage more women to start in the industry so we give a Women in Advertising scholarship each year.